Create a professional online brand for your business. Our design solutions are always tailored to your audience, your budget and is uniquely targeted your business model. We build strong partnerships with our customers and we are ready to share our experience so that they will be successful. Odds Battle is the App where you can challenge your friends, to find out who amongst you is the ultimate at playing the odds. Since 1964 Alex Andersen Ølund A/S has been one of Denmark’s leading logistics companies. IvoCall, now named Herobase, is one of the top providers of telemarketing systems for b2b clients in Scandinavia. Hurrah is a new and revolutionary app for booking short-term workers. It has never been easier for companies and flexible labour to find each other! Take pictures, record, and remember everything about your child's upbringing. Panic App for your smartphone. Get help from your friends and helpful people in your area whenever you need it! Eurofins Scientific is an International life science corporation specialized in offering clients various tests, sampling and analysis. Amongst other things, SISO is a company specialized in sales of diverse types of brackets, hinges and locks. With Traffic App on your smartphone, tablet or PC, you have FREE access to: Laws, road rules and road equipment for any traffic project. Get an interactive overview of an airplane's cockpit and cabin. AeL Player provides easy and simple training of aviation procedures - all from your iPad. Viris is your all-in-one business cardholder app. Signup with HomAid as either a buyer or seller. As a buyer you can book sellers to clean your home. As a seller you can make money. Get an evaluation from a specialist in your field. Yingzi Jianghu is a Chinese language social media app aimed at martial arts enthusiasts in China. Entertainment for children and adults - G9 is a simple game that can still give you gray hairs. Use FindOne to find local bars. Check into a bar and see all the other users who are also checked into the same bar as you. Brilliant app for your alarm system - drop the remote control and replace it with your smartphone. Mediawatch delivers critical and invaluable journalism about the media industry. Campaign.one is a marketing automation platform for companies who want an integrated and user-friendly platform to handle their e-marketing activities. 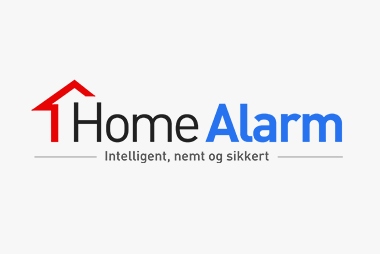 HomSecure rents out the top of the line alarm systems and offers the highest home security at low and transparent prices. ISFJORD distils luxury spirits with the purest water that can be found on earth, namely water from the 10,000-year-old glaciers in Greenland. Fitness World has more than 150 gyms in Denmark and 13 gyms in Poland. Wash World is a car wash supplier where you can wash unlimited times for a flat monthly fee at any of their terminals all over the country. SIM Supply is (as the name aptly communicates) a leading sim card supplier to GSM systems, such as GSM alarms, GSM heating control etc. Everything for your home – JYSK is an international retail chain selling everything for your home. Created by Denmark's leading merchant Lars Larsen. Visit Fyn is a Danish tourist organization whose primary purpose is to attract foreign tourists to the island of Fyn and its cities. Danish travel and consultant agency in Shanghai, specialized in planning business and study-trips in China. Ticket, formerly known as Ticket to Heaven, is a popular and famous childrens clothes brand. LM Windpower is a leading supplier of wind turbinde blades worldwide. Copenhagen in Chinese! A web platform with the goal of bringing Chinese tourists to Copenhagen. ProSave is a purchasing management platform for installers, carpenters, electricians, etc. China's largest brand of trekking equipment and outdoor clothing. Schowkarlsen offers hand-painted oil paintings of the highest quality. Analyzes Danish banks and assesses their risk profile through easy-to-use analytical tools and risk assessment models. Wonder Milk is a local milk producer situated in Beijing, that produces organic milk for primarily foreign, high-end stores all over China. A website created to promote Denmark and Danish Culture in China. Cityliving.dk specializes in trendy and stylish bags. Find models and brands that are not yet out in Denmark. Get your teeth fixed whilst on vacation and cut your dentist bill in half. Sulfo offers the latest discounts from hundreds of stores across Denmark. You can save even more if you present your student ID card. Find information on Danish companies in China. Build your network and ensure a good start in China. KeepKeeping - plan and complete your goalie training the smart and easy with KeepKeeping! A Scandinavian tourist platform, inviting Chinese tourists to visit Denmark, Sweden and Norway. Ufuse – a term that refers to creativity through co-operation - is a consultant agency specialized in creative processes and management. Finally, an easy and smart way to keep track of things - Mindzoo makes it easy to keep track of all the small and large details of your everyday life. Subhashok the Arts Centre is a gallery and center located in Bangkok, Thailand. Hermès is a French giant in the luxury goods industry. Pullman Hotels and Resorts is an upscale international hotel brand.